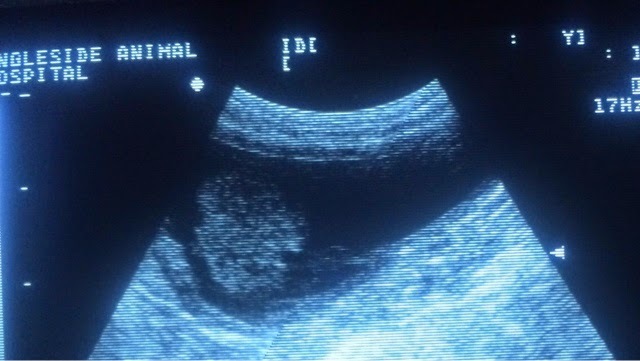 This patient has a solid tumor in the black teardrop shaped urinary bladder. The tumor was malignant, a transitional cell carcinoma. This pet will recover completely and is in effect cured. We discovered the tumor on ultrasound. She is elderly but we will have her for a few more years!